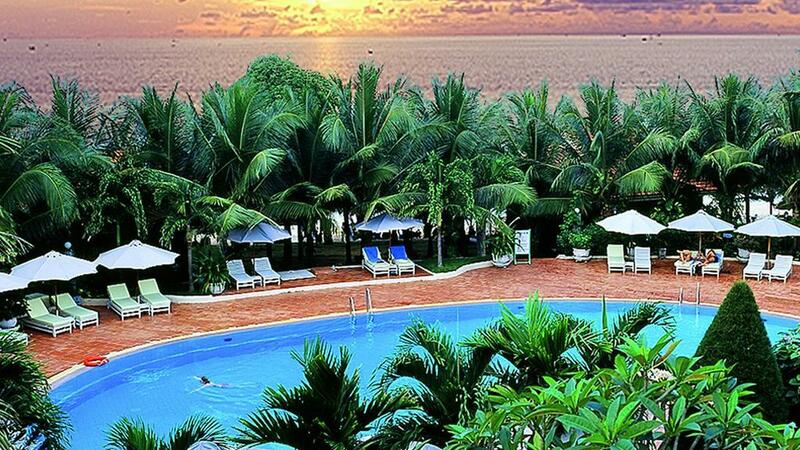 Measuring 48km long and with an area of approximately 1320 sq km, Phu Quoc Island is the largest in Vietnam. A popular holiday destination with a reputation as a relaxing tropical island paradise, Phu Quoc is just 50km from the mainland of Vietnam and is surrounded by the sparkling waters of the Gulf of Thailand. Renowned for its spectacular and pristine natural environment, Phu Quoc boasts gorgeous beaches, friendly locals, laidback atmosphere and outstanding snorkelling and scuba diving. Although much of the resort development is concentrated on Long Beach, the remainder of the island is still most undeveloped with approximately 70% of the island comprised of National Park. 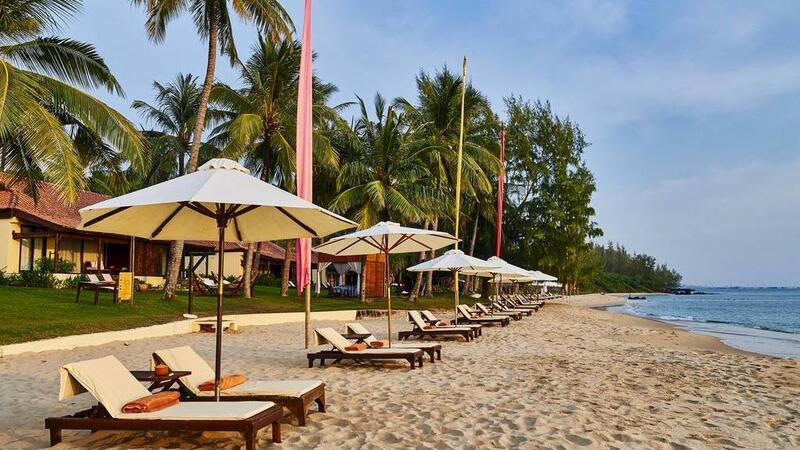 Phu Quoc offers a great range of accommodation options, most of which can be found on the island's western side near Long Beach and the main town of Duong Dong. Accommodation options range from basic bungalows and standard hotels all the way through to boutique and luxury resorts which offer premium comfort and facilities including onsite day spa options. 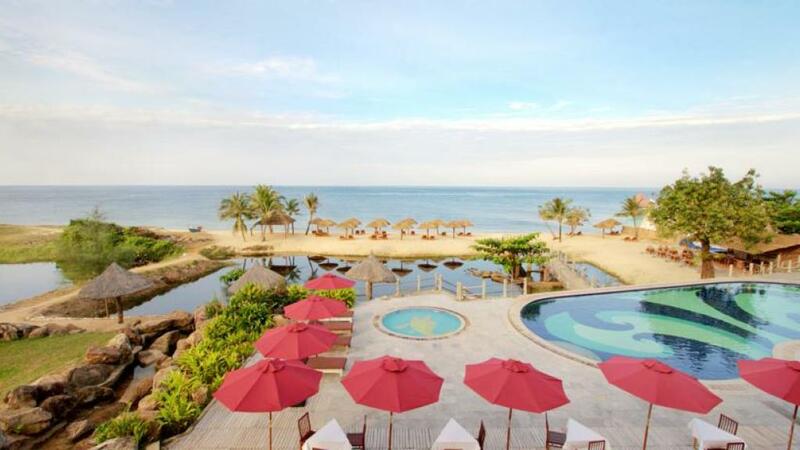 Phu Quoc Island accommodation is also conveniently located close to the beach, shopping, dining and popular tourist attractions such as Dinh Cau, Dong Duong Dong Stadium and the Phu Quoc National Park. Phu Quoc Island's location and natural environment lend itself perfectly to water activities including relaxing on the beach, kayaking in the bay, snorkelling or scuba diving the beautiful reefs and daytime boat trips however sampling the fresh local seafood and indulging in a massage are also popular ways to spend your time here. There is also some great shopping and fishing to be had as well as adventure activities and even some nightlife if you're up for it. However with the majority of the island dedicated to National Park and a protected marine environment, exploring those should be top of your list. Still, there are some unique sights to see around the island including traditional methods for preparing foods and local delicacies and visiting popular landmarks and historical attractions including Dinh Cau Rock (Cua Temple), Coconut Tree Prison (Nha Lao Cay Dua Prison), the War Memorial, Sung Hung Pagoda, Hung Long Tu Pagoda and the Legend of the Magic Well. Phu Quoc Island's most famous exports are fish sauce and pepper. Visitors to the island will find the local dogs to be quite unique with ridgebacks, blue tongues, curly tails and a keen sense of smell that is said to be able to detect its master's scent from more than 1km away.